WorldFish, African Union Inter-African Bureau for Animal Resources (AU-IBAR) and the New Partnership for Africa’s Development (NEPAD) Planning and Coordinating Agency recently launched an innovative program that will improve the quality of life for small-scale fish traders in Africa, many of whom are women. The fish trade is crucial to ensuring food security in Africa, supporting livelihoods and promoting economic development. Funded by the European Union (EU), the fish trade program will support Ministries of Fisheries and Aquaculture by strengthening policies, standards and regulatory frameworks for the promotion of intra-regional fish trade. 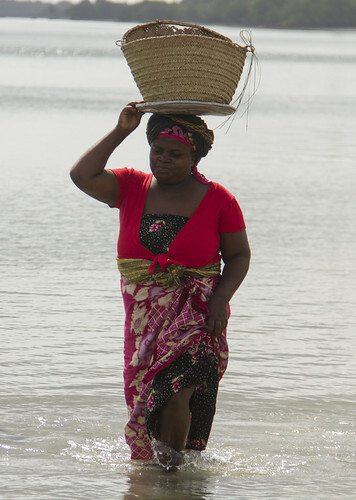 The goal of the program is to strengthen the capacity of private sector associations, in particular women fish traders, and will enhance the competitiveness of small- and medium-scale enterprises. 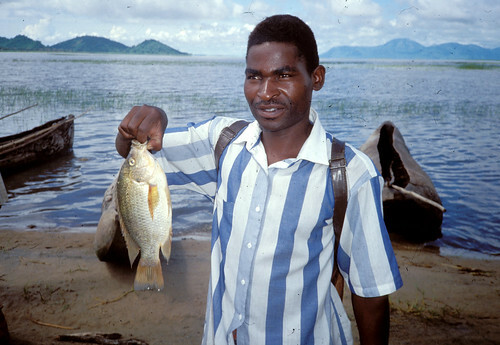 In Africa, millions of people depend on fish as a vital source of nutrition. 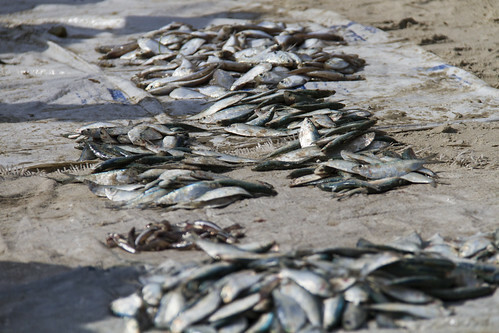 Fish and the fish product trade are increasingly important for Africa’s food security and economic development. Improving food and nutritional security by supporting intra-regional trade is the focus of this 4-year, EU-funded program. It will achieve this through enhancing the capacities of regional and pan-African organizations to support their member states to integrate intra-regional fish trade into their development and food security policy agendas. "This project will facilitate regional integration through intra-regional trade in fish and fish products which underscores the vision for an integrated and prosperous Africa”, states Prof. Ahmed A. El-Sawalhy, Director of AU-IBAR. 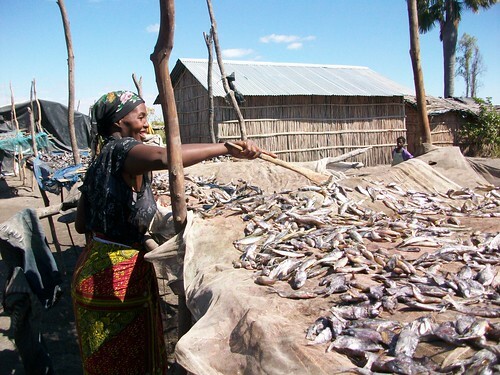 The fish trade program focuses on four trade corridors, in Western, Southern, Eastern and Central Africa. The corridors run from Dakar to N’djamena (through Senegal, Mali, Burkina Faso, Niger, Ghana, Nigeria and Chad; from Dar es Salaam to Durban (through Tanzania, Zambia, Malawi, Mozambique, Democratic Republic of Congo, Zimbabwe, Botswana and South Africa); from Mombasa to Goma (through Kenya, Uganda, Burundi, Rwanda and Democratic Republic of Congo); and from Libreville to N’djamena via Yaoundé (through Gabon, Cameroon and Chad). The corridors were selected because of their importance in fish and fish product trade flows. The African Union Inter-African Bureau for Animal Resources (AU-IBAR) is a specialized technical office of the Department of Rural Economy and Agriculture (DREA) of the African Union Commission (AUC). AU-IBAR’s mandate is to support and coordinate the utilization of livestock, fisheries and wildlife as resources for both human well-being and economic development in the member states of the African Union (AU). The New Partnership for Africa’s Development (NEPAD) , an African Union strategic framework for pan-African socio-economic development, is both a vision and a policy framework for Africa in the twenty-first century. NEPAD is a radically new intervention, spearheaded by African leaders, to address critical challenges facing the continent: poverty, development and Africa's marginalization internationally. 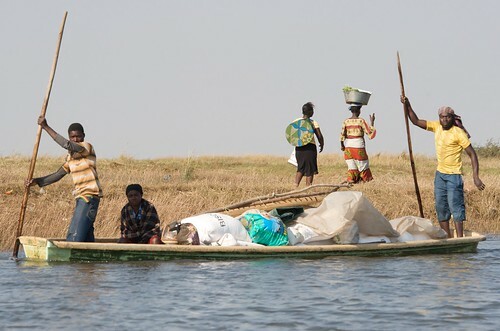 WorldFish is an international, nonprofit research organization that harnesses the potential of fisheries and aquaculture to reduce hunger and poverty. WorldFish is a member of CGIAR, a global agriculture research partnership for a food secure future. For more information, go to: worldfishcenter.org.